Art & Frame of Sarasota: Weekly Specials August 27th-September 1st! 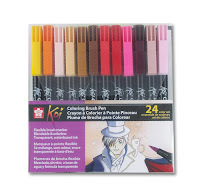 Sakura (Microns, Cray Pas Oil Pastels, Koi Watercolor & More)- 40% off list! Arches Watercolor Paper- 40% off list! Rembrandt Oil Paints- 30% off list!